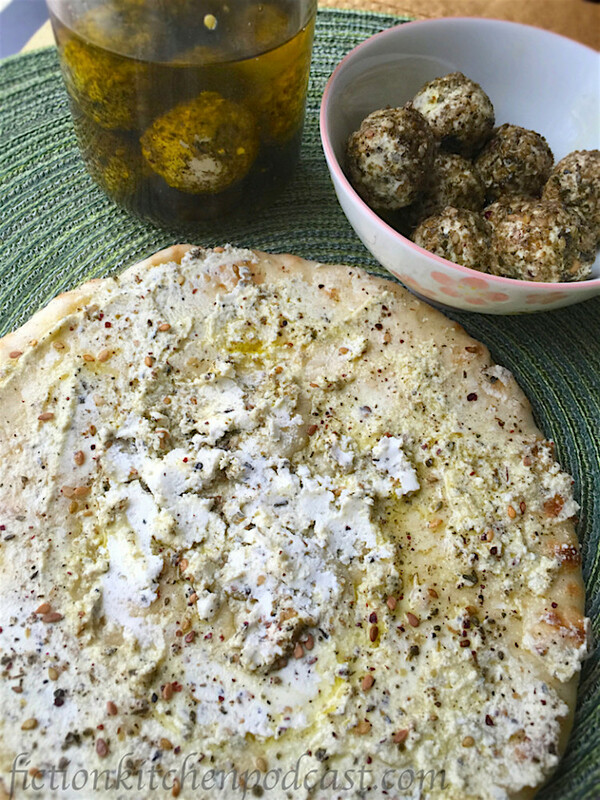 Though not mentioned by name in the Arabian Nights, I imagine labneh–a common and tasty yogurt cheese in the areas of the stories–could be found on the many feast tables amid the fruits, breads, and dainty meats. 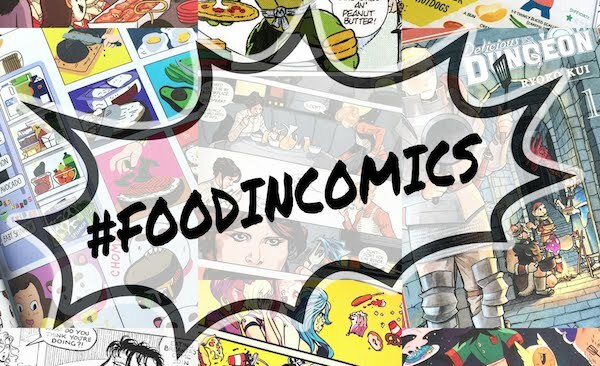 It's a very simply and versatile food that's delicious and easy to make! Sprinkle the salt into the container of yogurt & stir to combine. Place a mesh strainer over a small bowl & drape a cheese cloth or flour sack cloth over the strainer. Scoop all of the yogurt into the cloth & twist it up & give it a squeeze to get the preliminary liquid (whey) out. You can save the whey in a jar in the fridge & use it as a substitute for water in cooking, or you can throw it out. Place the bowl, strainer, cloth, & yogurt setup in the fridge & let sit for a day or two, occasionally squeezing the cloth to help get the whey out. The longer you keep the yogurt in the fridge, the more solidified it will get. 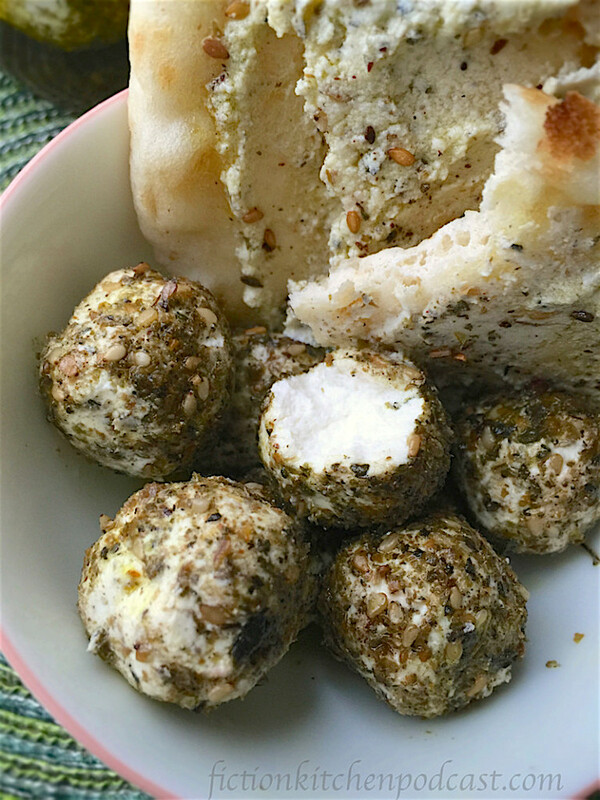 Remove the yogurt mixture from the fridge & use it as a spread or dip, stir in some chopped, fresh herbs, or roll the mixture into small balls & then roll the balls in fresh or dried herbs (I use za'atar, a Middle Eastern mix). If you make it into little balls, place them in a glass jar or other container & cover them with olive oil. Serve with toast or flat bread, an appetizer platter, or however you'd like!